While not every taxonomic study is conducted with a nature conservation idea in mind, most ecological initiatives need to be backed by exhaustive taxonomic research. There simply isn’t a way to assess a species’ distributional range, migratory patterns or ecological trends without knowing what this species actually is and where it is coming from. In order to facilitate taxonomic and other studies, and lay the foundations for effective biodiversity conservation in a time where habitat loss and species extinction are already part of our everyday life, the global organisation Catalogue of Life (CoL) works together with major programmes, including GBIF, Encyclopedia of Life and the IUCN Red List, to collate the names of all species on the planet set in the context of a taxonomic hierarchy and their distribution. 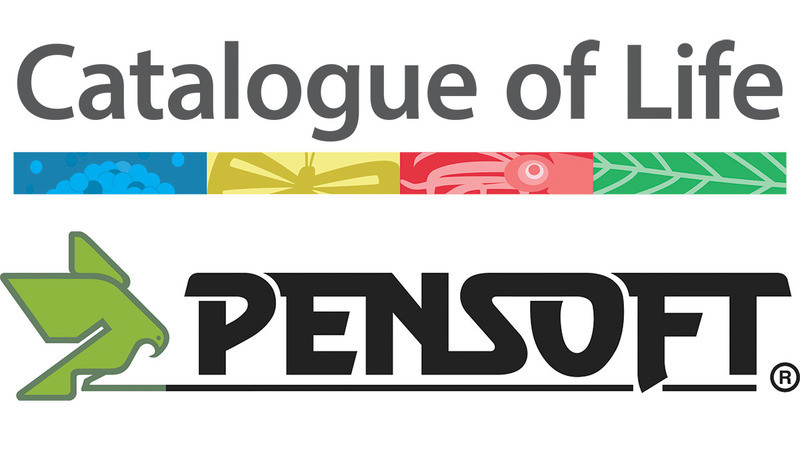 Recently, the scholarly publisher and technological provider Pensoft has implemented a new integration with CoL, so that it joins in the effort to encourage authors publishing global taxonomic review in any of the publisher’s journals to upload their taxonomic contributions to the database. Whenever authors submit a manuscript containing a world revision or checklist of a taxon to a Pensoft journal, they are offered the possibility to upload their datasets in CoL-compliant format, so that they can contribute to CoL, gain more visibility and credit for their work, and support future research and conservation initiatives. Once the authors upload the dataset, Pensoft will automatically notify CoL about the new contribution, so that the organisation can further process the knowledge and contact the authors, if necessary. In addition, CoL will also consider for indexing global taxonomic checklists, which have already been published by Pensoft. It is noteworthy to mention that unlike an automated search engine, CoL does not simply gather the uploaded data and store them. All databases in CoL are thoroughly reviewed by experts in the relevant field and comply with a set of explicit instructions. “Needless to say that the Species 2000 / Catalogue of Life community is very happy with this collaboration,” says Dr. Peter Schalk, Executive Secretary. “It is essential that all kinds of data and information sharing initiatives in the realm of taxonomy and biodiversity science get connected, in order to provide integrated quality services to the users in and outside of our community. The players in this field carry responsibility to forge partnerships and collaborations that create added value for science and society and are mutually reinforcing for the participants. Our collaboration is a fine example how this can be achieved,” he adds. “It only makes sense to collaborate with organisations, such as Catalogue of Life, to make sure that all these global indexers are up-to-date and serve the world’s good in preserving our wonderful biodiversity,” he concludes.